CWI converts process wire to produce a variety of fencing products for farming and hardware outlets. 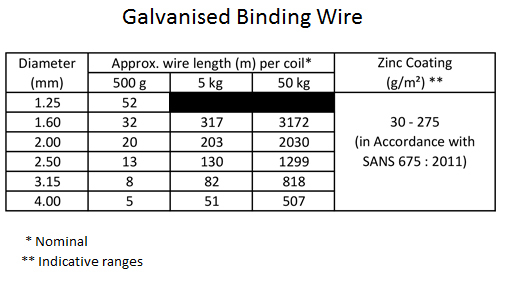 A range of binding wire is produced in-house from wire manufactured by our Process Wire Department. CWI specialises in the production of barbed wire and is the sole manufacturer of Campeon® and Iowa Lite® barbed wire in South Africa. 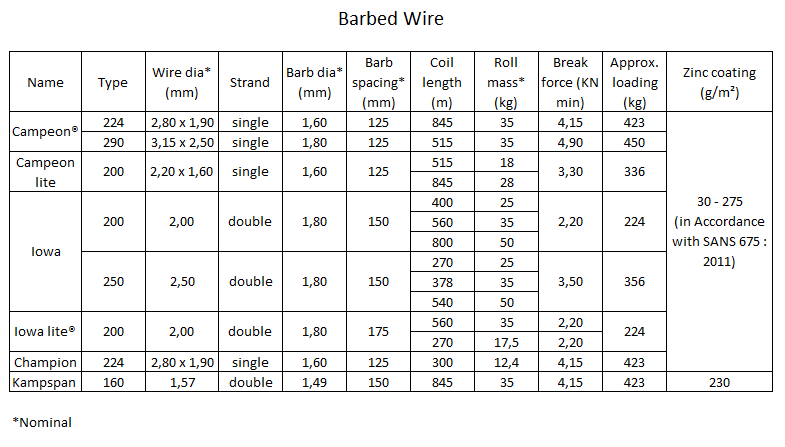 Within our range of barbed wire, we also produce and supply Kampspan, Iowa, Champion and Campeon Lite.